TUSCALOOSA, Ala. — Do you have an idea for a new product or a solution to a problem but don’t know how to get started or who to start with? The power behind a business idea is putting action into that idea, and Startup Weekend Tuscaloosa Feb. 23-25 is where those ideas can become reality. Startup Weekend on Feb. 23-25 helps innovators from across the Tuscaloosa area pitch ideas and present their business models to local entrepreneurs. 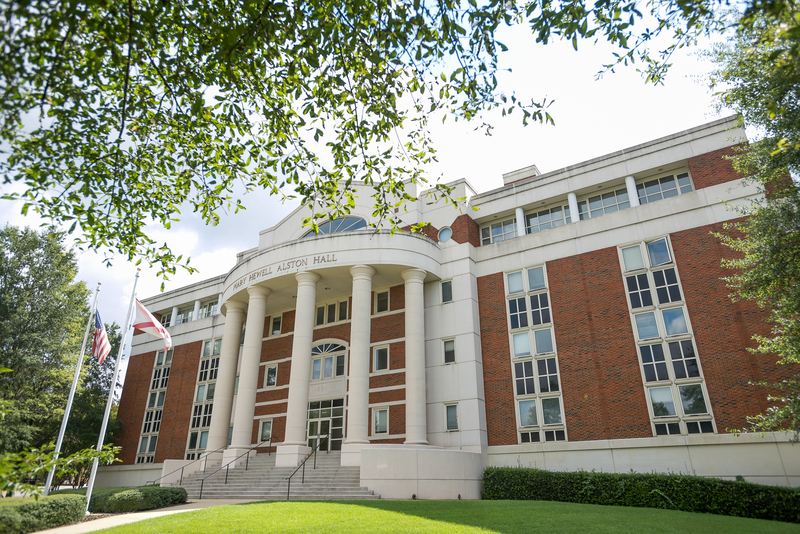 Hosted by The University of Alabama Culverhouse College of Commerce’s STEM Path to the MBA program, the fifth annual Startup Weekend Tuscaloosa is 54 hours of intensive business coaching for members of the community and students. The event will be held at the South Engineering Research Center on The University of Alabama campus. Aspiring entrepreneurs will test the viability of their ideas, build teams, create prototypes and receive feedback from expert entrepreneurs. Beginning with open mic pitches Feb. 23, attendees present their best ideas and inspire others to join their teams. On Feb. 24 and 25, teams focus on customer development, market validation and building a minimum viable product. On the evening of Feb. 25, teams present their products or services to a panel of local judges who will decide which ideas are the most likely to succeed. The winners receive prizes and valuable feedback and support from local experts. Additionally, participants who are also participating in the Edward K. Aldag, Jr. Business Plan Competition will also receive points that will go toward their plan. Everyone in the community who believes they have a great idea or is interested in being part of the development of an exciting new product is invited to attend. 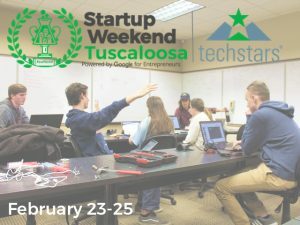 More information about Startup Weekend Tuscaloosa including judges, coaches, and sponsors can be found here. Registration is also available on the event website, and early bird discounts are available for all participants until Feb. 9. The early bird discount for community participants is $15 off of the full price while UA students get a 50 percent discount with code SWSTUDENT25. Registration is available until Feb. 23. Food and drinks are included with registration. For additional information, contact Startup Weekend Tuscaloosa at tuscaloosa@startupweekend.org. Startup Weekend Tuscaloosa is made possible with the support of international sponsors, Techstars and Google for Entrepreneurs, and local business sponsors, Alabama Power, Randall-Reilly and Rosen Harwood.